Clifton, Devon Bed and Breakfasts. Compare latest rates and Live availability for all your favourite places and places you have always wanted to go using our new My Shortlist feature. Click + to add to your Shortlist. Bed and Breakfasts in Clifton, Devon for 1 night from Fri Apr 19, 2019 to Sat Apr 20, 2019 within 10 miles, in an Average Nightly price range of £1 to £200. The Imperial Hotel is situated in the centre of Barnstaple England s oldest borough. With old style charm of a traditional townhouse hotel The Imperial boasts the elegance and luxury of another age. The sumptuous surroundings are perfectly complimented by 1st class service and the finest cuisine. In our Arlington Restaurant we ask you to please follow our preferred dress code of no sportswear t-shirts or ripped denim after 6:30pm. Every bedroom at The Imperial Hotel is designed to reflect the luxury comfort and style that is so characteristic of the Brend name. 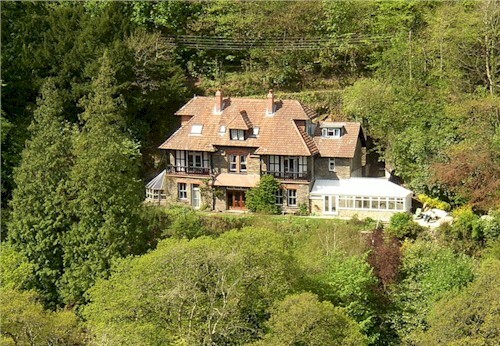 Particularly popular are those overlooking the River Taw. Of course as you would expect all rooms are en suite and for those who opt for a deluxe room will find a mini bar and a host of additional extras. We now offer FREE Wi-Fi! The historic town of Barnstaple with its elegant Georgian buildings can prove a major distraction. Complimented by a plethora of flowers at every turn it comes as no surprise that Barnstaple is a Britain and World in Bloom winner. The Green Lanes shopping centre provides Barnstaple with all the big names making it the main centre for shopping in North Devon. North Devon boasts some of the most spectacular scenery in England with miles of golden coastline. A former farm Holmsleigh B & B is surrounded by land mature gardens and trees line it s perimeter. You would be forgiven for thinking you have booked a country retreat although just off Wrafton road leading to the village and a short stroll through the park will take you to local amenities and great restaurants. br / br / br / br / Above the village on one of the many nature walks the large white property is a commanding sight yet on ground level Holmsleigh is a hidden gem down an unmarked lane that the locals call Chicken Farm Lane . Past guests describe a feeling of peace and calm on arriving. A tranquil setting a place to instantly relax have a break from the driving and enjoy the diverse landscapes and activities North Devon has to offer. br / br / br / br / Staying in Braunton will give you access to the Tarka trail for traffic free cycling and the South West Coastal path runs along side the village as well as Crow Point beach which is just a mile from Holmsleigh. A great area of natural beauty and protected wildlife popular for bird watching. br / br / br / br / Holmsleigh is in a great central location to visit the many award winning beaches too many to mention them all but Saunton sands is just 2 miles away with Croyde Bay just around the corner both enjoying a surfing culture with schools and competitions. Woolacombe has a 5 mile stretch of golden sands and Ilfracombe has a harbour for boat trips or just fish off the rocks or visit the unique tunnel beaches. br / br / br / br / Whatever the reason for visiting North Devon and you want to be close by but feel away from it all then Holmsleigh is the place to stay.